The key ingredient of materializing a more comfortable and convenient vehicle is to install electrical components. Air-conditioning systems,power windows, and electrical key locks are essential electrical components to a modern-day vehicle. Since our establishment, we have been producing highly reliable products, such as actuators for air-conditioning systems and door-lock sensors by utilizing our technical expertise. 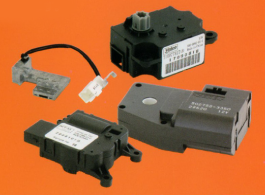 Most notably, we develop a leading edge stepper motor which is the key technological requisite for an actuator. We pride ourselves on our compact mechatronic product technology. We have found our place in the well-known Japanese industry of electronics. 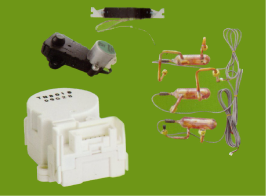 We produce a unique oil sensor which detects oil amounts in the refrigerant of an air-conditioner. Japan is a super-aging society where a quarter of the domestic population is over 65. Due to this progression, the medical equipment market is expected to grow vastly. 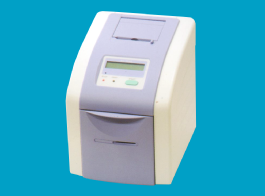 We have transferred our sophisticated sensor technology from our automotive department to develop a high-precision auto-blood analyzer as an OEM product. Copyright (C) TONEX Co.,Ltd. 2015 - 2018 All rights reserved.